Get Your Warrior On and Attend The World’s 1st Virtual Parkinson’s Disease Summit For Patients – April 11-13 2018 - 2019 INSIGHT Into PD UNITES! PD Warrior, the online physiotherapy based exercise framework for those living with Parkinson’s disease will host the world’s first virtual summit, InsightsintoPD, with over 30 world expert speakers spearheading a three day event to coincide with World Parkinson’s Day (April 11). The Summit enables patients and their carers to connect with other people who are also trying to live their best life possible. A virtual exhibition will support the summit program. 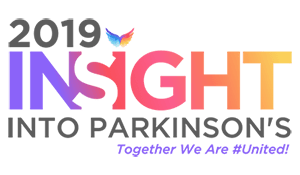 Insight’ brings together leaders in the health care profession, researches and influencers in this space to showcase and interpret the explosion of information available now for people living with Parkinson’s. The event features eight topic streams including: exercise and neuroplasticity, research updates, motivation and perspective, alternative therapies, mood and cognition, education and advanced therapies, technology, diet and nutrition and community connections and lived experiences. The Summit will help to unlock some of the mystery and mis-perceptions around Parkinson’s by delivering well curated and expertly delivered content from the wide range of sources. The InsightintoPD Summit pioneers a new way for patients to access disease and health education using technology in a virtual conference medium. The Summit is live for the three days and can be streamed direct into patients’ homes using any internet enabled device. Access is available for 30 days enabling PD patients to catch up on sessions they are not able to watch live. The event costs $99 to attend with all proceeds benefiting the ShakeitUp Foundation. To get your ticket and attend registrations are available here InsightsintoPD.